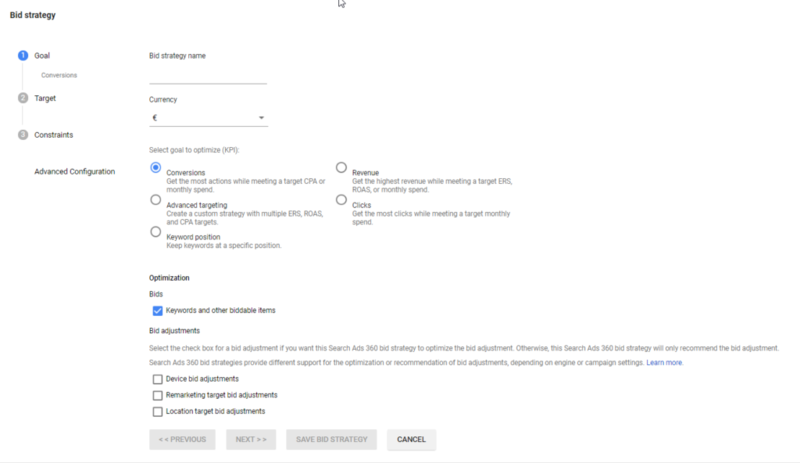 There are considerable differences between the bidding strategies available on Google Ads (formerly AdWords), and the bidding strategies available on Search Ads 360 (SA360), with SA360 offering greater scope for customization, as well as the ability to execute strategies at a campaign level, across all search engines. There are two main types of bid strategies available in SA360: metric-focused strategies, and budget-focused strategies. 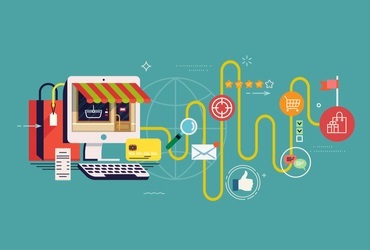 The primary goal for metric-focused strategies is to maximize conversions within a target ROAS or CPA, while budget-focused strategies are aimed at ensuring a strict budget amount is spent, while maximizing either conversions or revenue. There are lots of options for customization in both types of strategies, with further goals and KPIs able to be set up. If your main KPI is lead acquisition, CPA would be a good goal, whereas optimizing for ROAS is ideal if your KPI is increased revenue. For brands where exposure is a key priority, ad position is a useful strategy – although it’s worth noting that Google has confirmed they are retiring average keyword position this year, so it is likely that we will see this option either be updated or removed. Optimizing bids for keywords and shopping product groups means higher bids on keywords that are more likely to convert, and lower bids on keywords less likely to convert. Last click attribution is the default model in SA360, and you will need to add other models to the advertiser in order to use them; you can add up to five models for Floodlight and Google Analytics conversions, but are limited to the pre-set models within the Google Ads platform if you are using Google Ads as your conversion source (as well as being limited to what is currently set as the model in Google Ads). 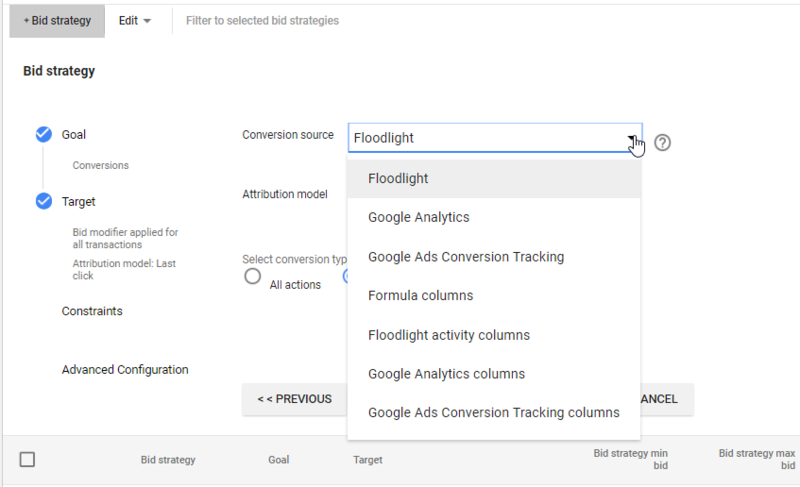 There is more information on the types of attribution models you are able to add to Search Ads 360 here. It generally takes around 24 hours after being added to the advertiser for it to be available in the platform. This feature means you can now set up budget groups within an advertiser and enable bid automation, ensuring that the assigned budget is spent exactly within a given time period. 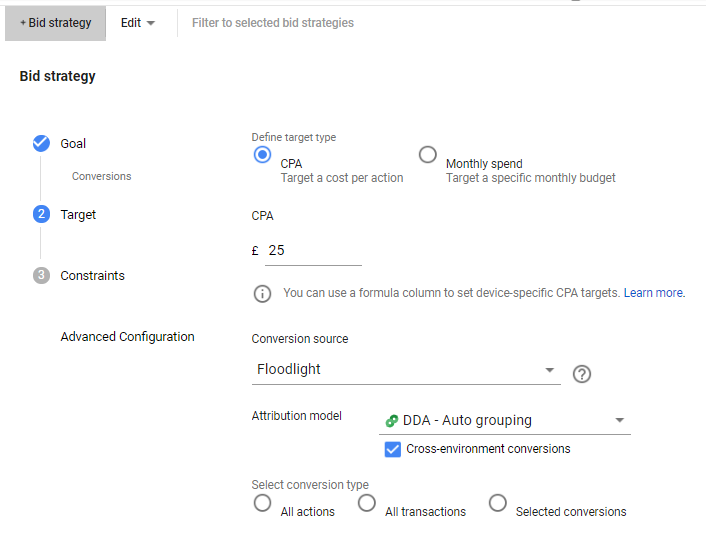 While spend is the primary focus, you can also select whether campaigns should be optimized for conversions or revenue, as well as assign a secondary ROAS or CPA target if required. Device, location and audience bid adjustments can be optimized in budget-focused strategies, too. 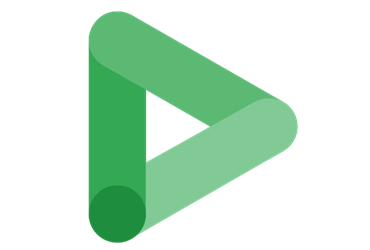 A useful feature of budget bid strategies is the ability to program custom budget pacing, meaning you can instruct Search Ads 360 to spend more on certain days or weeks, and less on others. An example of when this would be useful is to instructing a higher spend on a day that you know an online sale is ending. When setting up a budget bid strategy in SA360, you are required to set minimum and maximum bids. Search Ads 360 will recommend limits that should enable the strategy to hit its goals, however it’s up to you if you stick with these recommendations. 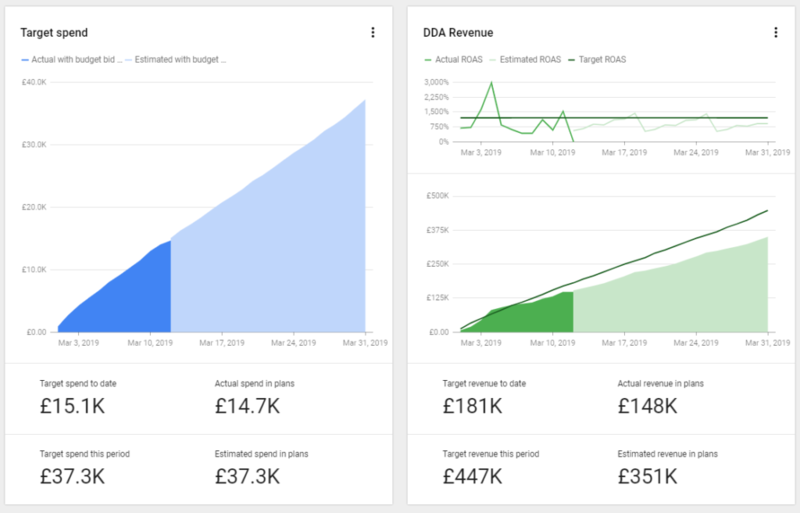 Once a budget bid strategy has been set up, you are able to monitor and forecast performance within the budget management interface. 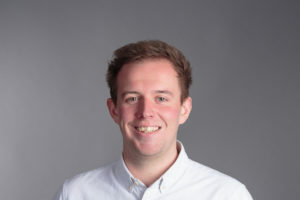 The ability to customize conversion goals and attribution models across campaigns means we can create optimal conditions for achieving KPIs on a campaign by campaign basis, which works towards the overall goal or increasing ROI.